The purpose of this chapter is to stimulate public awareness of bass fishing as a major sport and to offer our state conservation department: organized moral and political support, encouragement to promote full adherence to all conservation codes, and to demand adequate water standards. In addition, the chapter will seek to detect, report, and call public and political attention to any polluter’s crime. As a goal, the chapter will try to improve its members’ skills as bass anglers through a fellowship of friendly exchange of expert bass catching techniques and ideas, and to promote and encourage youth fishing and a love for this great recreation. 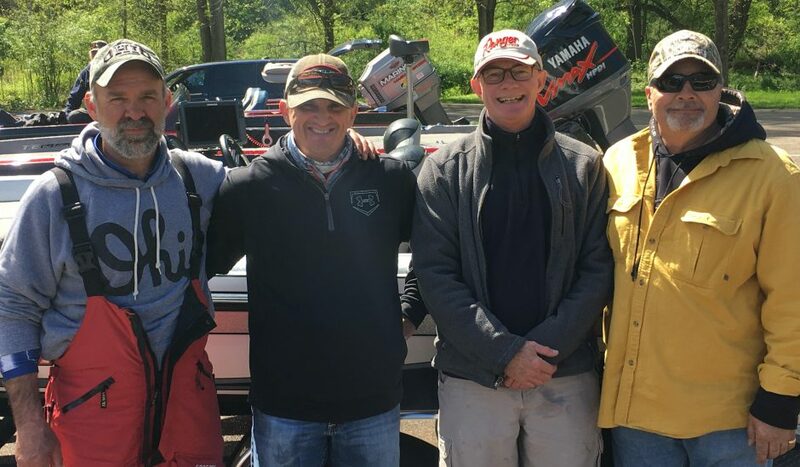 In addition, this chapter will seek to function as a dynamic and effective link with other chapters of the Ohio Bass Federation (OBF) while embracing the principles and purposes of The Bass Federation, Inc (TBF). B. If the prospective member is not a member of FLW, he/she must join. E. New members are subject to a probationary period of one (1) year, these members may be removed from chapter membership during this period as described in article V (removal from membership). During the first year, probationary members must participate in 75% of all club meetings and functions. F. Full membership will be awarded after the member’s probationary period with discussion and majority vote of those present. The club will pay OBF and TBF. dues after the probation period. G. A chapter member must be at least 16 years of age with parental consent and waiver. A. Any new member (probationary member) joining the chapter subsequent to charter membership shall be required to pay a $25.00 initiation fee and monthly dues of $10.00. C. OBF and TBF dues are to be paid by the next month’s regular meeting by the probationary member. D. Members have the option to pay their club dues by the November club meeting at $100.00 dollars per year. Any member who does not wish to pay in this manner must pay $10.00 per month. E. Members who are delinquent more than 60 days in dues will not be eligible for any chapter tournament, awards, or voting rights until such time as the member’s dues are current. Delinquent members shall be subject to removal from the chapter if the dues are in arrears by 60 days or more (see Article V- removal from membership). F. OBF and TBF dues will be due at the monthly club meeting that is one (1) month prior to the due dates as published by OBF. B. Be recommended by at least two members at a regular monthly meeting with parents present. C. The prospective new junior member must be voted on by the membership, vote will by secret ballot and affirmation must be by majority vote of members present. D. A junior member must be between the ages of 12 and 16. F. Junior members are eligible to fish chapter tournaments on a “space available” basis with a parental release. A. In the event of an office becoming vacant, nominations shall be asked and an election held to fill the remaining term of the individual vacating the office. TBF and OBF shall be notified immediately of the change of officers. c. Failure to attend ½ of the chapter meetings and ½ of the chapter functions during a 12-month period. d. Lack of participation in chapter committees. A. Any active club member that cannot continue participation in the clubs functions because of work, relocation, or personal reasons, must submit a letter to the club requesting to be put on inactive status. The club will vote on the request. If approved, the inactive member must continue to be a member of FLW. There are no dues involved during inactive status; however, the member must be current in his/her dues when inactive status is requested. D. Boats must be equipped with a Coast Guard-approved fire extinguisher and must conform to the federal, state and local boating laws governing the waterway to be fished. C. Trolling as a method of fishing is also prohibited. A. Each participant shall retain the right to select the fishing waters for one-half of the tournament day(s). B. All Participants will be paired for the tournaments by random draw, which will occur at the meeting prior to the tournament. Junior members will be eligible to fish on a space available basis with boaters consent. C. Standard non-boater fee will be $20.00 per day per tournament to be paid to the boater. Other incurred fees such as launching and parking will be split evenly between the boater and non-boater. Excessive boat travel should be negotiated between the boater and non-boater. D. Non-boaters may ask for the operation of the trolling motor during the one-half of the tournament at the discretion of the boater. The boater has full control of the water and technique. The non-boater is responsible for any excessive damage to the boater’s boat during the operation by the non-boater. Any one else that weighs fish will get 45 points (11th place down). In addition, all anglers will get 1 point per fish released alive. B. Only black bass will be weighed (Largemouth, Smallmouth, and Kentucky Bass). C. The limit will be five fish per tournament. D. Only bass which measure 12 inches or more in length (or whatever the specific slot limit is for that body of water) on the longest straight line with mouth closed shall be presented for weigh-in. Bass presented for weight-in which fail to measure the appropriate length (-1/8 inch) shall accrue penalties at the rate of one pound for each bass. This penalty will be deducted from the total score of the competitor for that event. E. Any bass that appears to have been mangled, mashed, mauled or otherwise altered will be credited only at the discretion of the tournament director. F. All fish will be measured and weighed by the elected tournament director. No competitor shall interfere with this process. H. A minimum of 10 tournaments will be scheduled each year. Members’ three lowest tournament point totals will not be counted for the end of year points total. C. Club members will get bonus for participating in special events: (Club Open Tournament, Kid’s Day, Environmental Day, Club Fundraisers and any hosted tournament). Members will receive 20 points per event they attend. Any member who attends all special events will get an additional 20 points. D. Competitors who are not at the “official check-in point” at the appointed time shall be penalized at the rate of ten ounces per minute to be deducted from the total weight of their catches that day including any weight to be counted towards a “Lunker Award”. E. Any competitor more than fifteen minutes late at the close of the tournament will lose all credit for the days catch. There shall be no excuse for tardiness and in no case will a competitor be allowed to make up lost time. (See special circumstances). c. Alternate: $ 20.00 a day. F. Members fishing in the Regional Tournament, State Qualifier Tournament, and Ohio Bass Classic will be paid the expense allowances referenced in “E” above by the club only after the member attends the event.